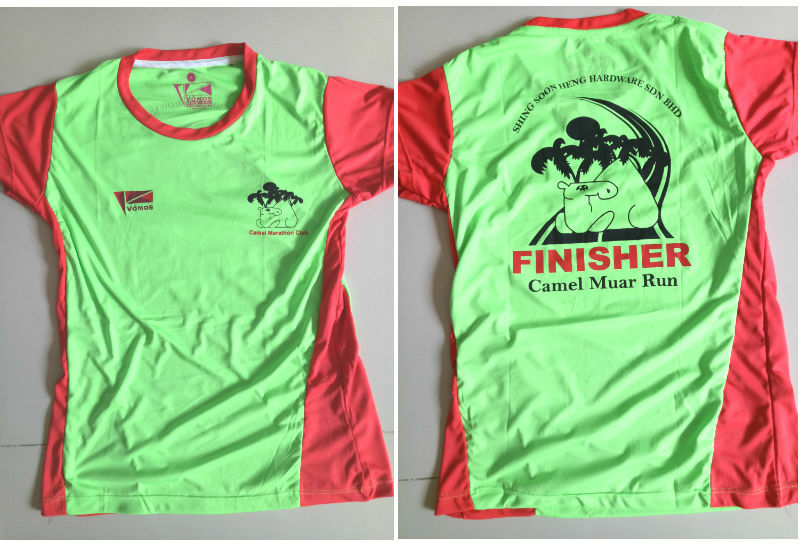 Review: Camel Muar Cross Country Run 22.195KM 2017 (by maylindateo) | JustRunLah! 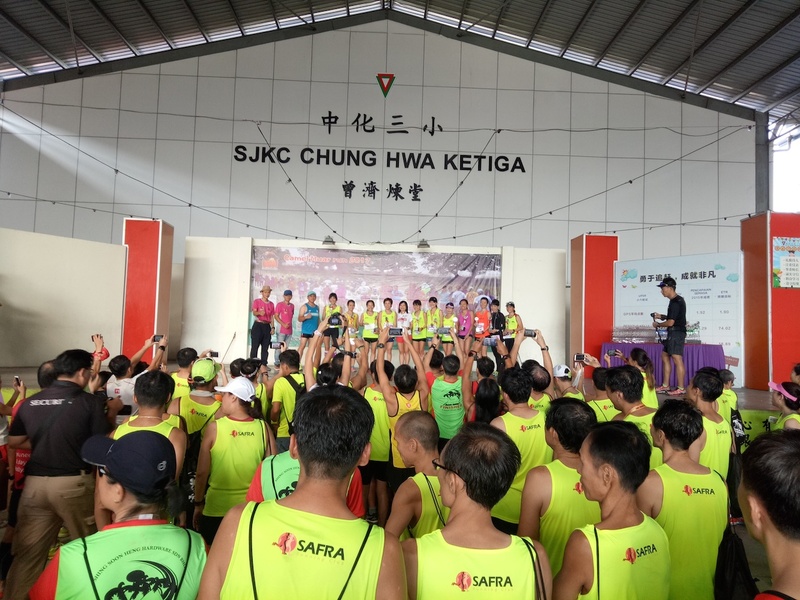 I signed up for this race held in Muar, Johor because I thought it would be quite refreshing to run at places outside Singapore and also to experience running in countryside. 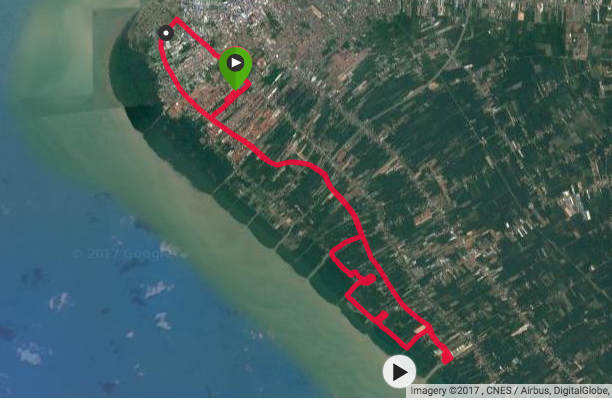 Muar is in the state of Johor but quite a distance away. Driving would take about 2.5 – 3 hours to reach. The racepack collection venue was also the race village and it was located in a Primary school. The setup was very minimal and there was no road sign or race banner found in the vicinity so we had some problem finding the place at first. 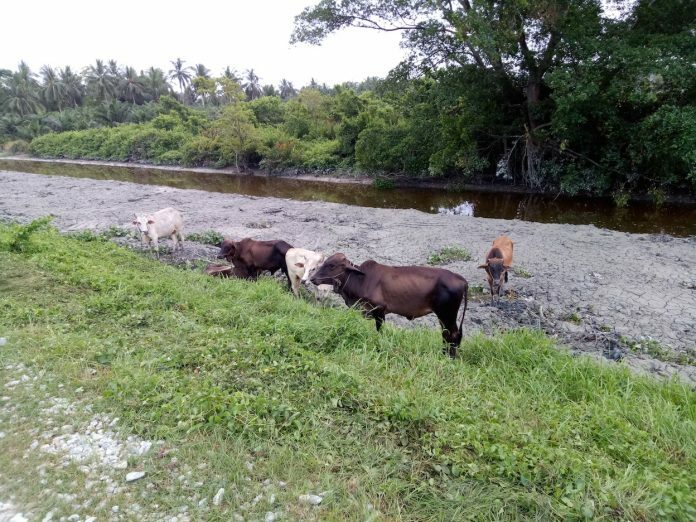 They should have placed some signboards or banners at the roadside or outside the school for people to locate them easily. 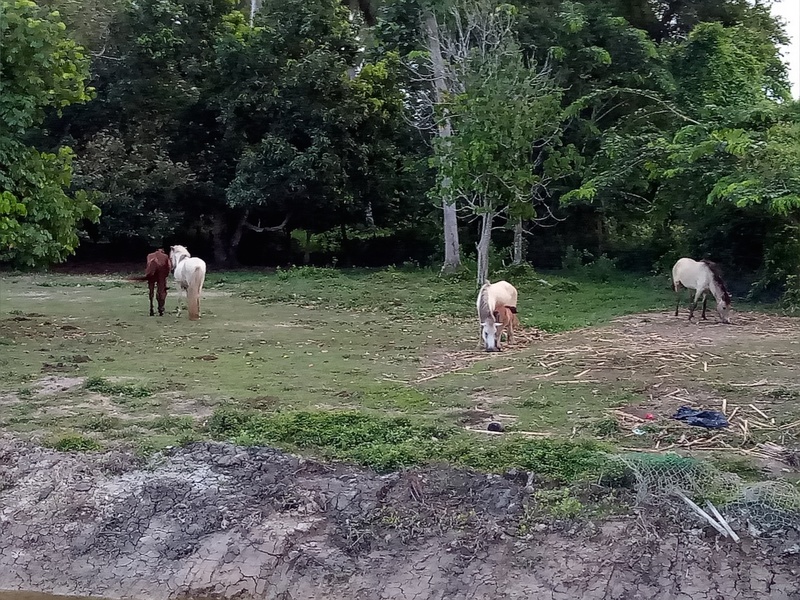 Though they named it Camel Muar Run, there were no camels. I have no idea why they named it so. 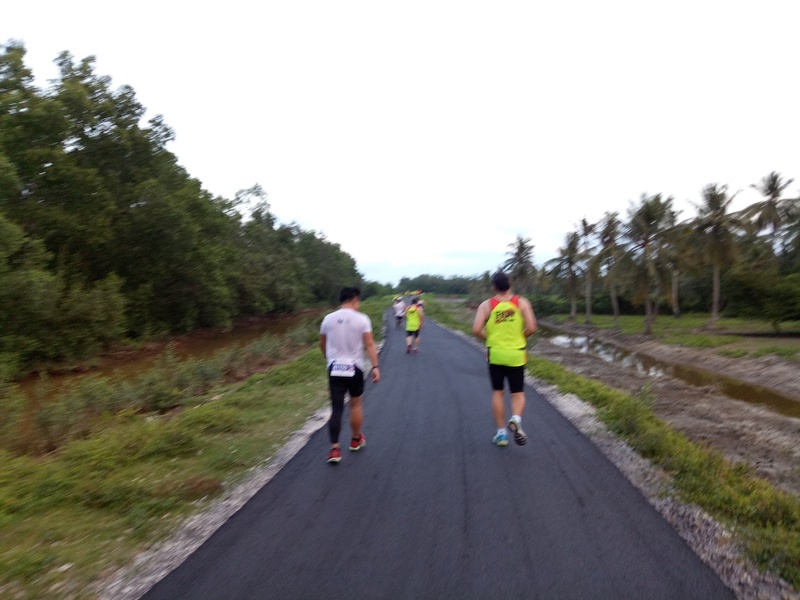 The race has got 2 categories: 10KM (Fun Run) and 22.195KM. The running bib has country flag printed on it and timing chip was attached behind. I like the idea of having country flag printed on it, it looks nice. However, some participants had wrong flag printed on their bibs. Indonesian participant had India flag printed on the bib and British participant had Germany flag printed instead. This was a mistake which would upset the participants and should be avoided. 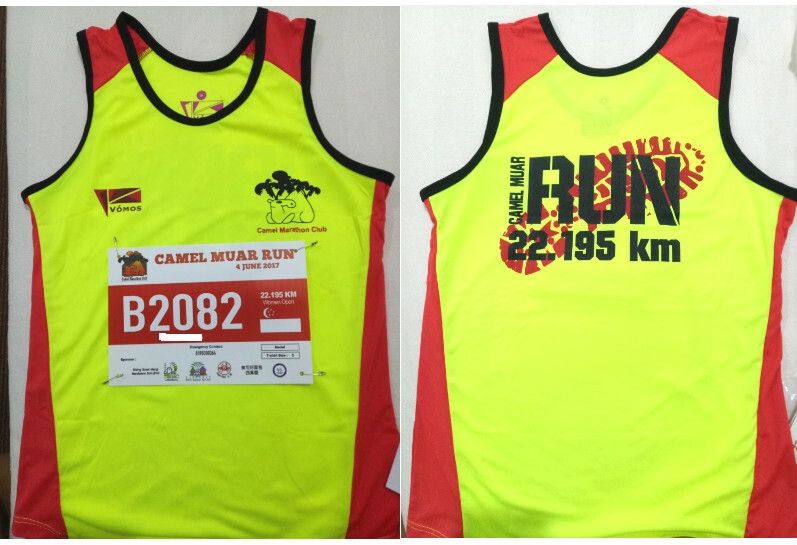 The running singlets have distance printed on the back but finisher tees have none. This was the first time I encountered finisher t-shirts have no distance printed. Flag off started on time at 5:30AM and before that we did some warm up exercises led by the pacers on stage. 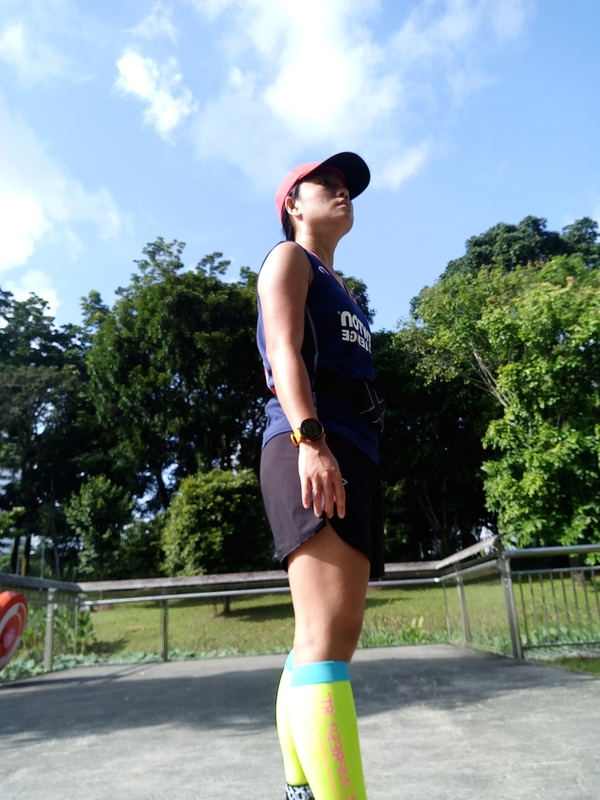 I wore headlight as per instructed but only a small part of the route was dark so headlight was not really necessary especially for a slow runner like myself. Hydration stations were sufficient but the 100 Plus and water served were not cold. I only drank one cup of cold water at the last water point and the rest of the drinks that I took were really only normal temperature. Quite disappointed. Staff/volunteers were nice and friendly people and encouraging too. Distance markers were quite small and not very prominent. 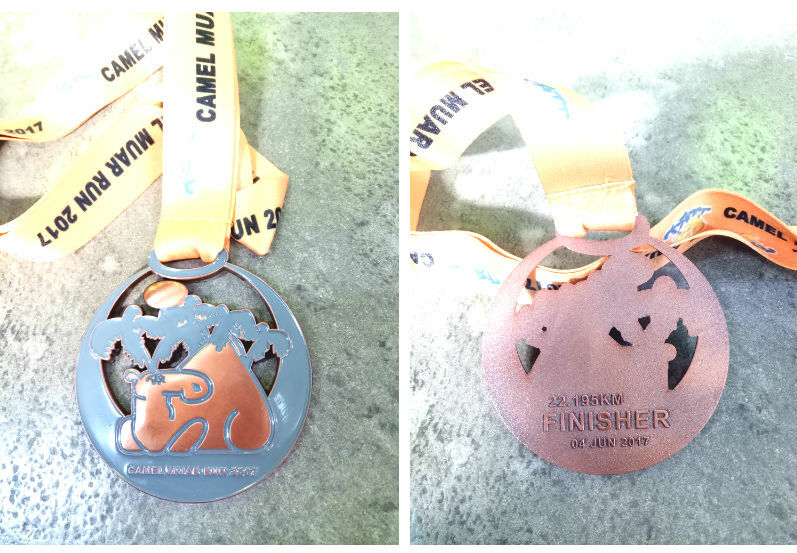 We were given a small piece of paper at the finishing line to collect our medal and finisher tee. But I did not know where to collect them. I went to queue up at the only queue I saw thinking it could be the medal and finisher tee queue but it was actually for food. So I took the cold watermelon and papaya. Very refreshing! They had cakes, bananas, almond jellies, etc too. I had to ask around to find out where to collect the medal. It was in a room further away opposite the food table. The colour of the finisher t-shirts was horrible. Bright green + red. It’s the worst colour combination and I will never have the courage to wear it. The medal design was also not pretty. Maybe they should avoid the colouring and just make it bronze, silver or gold metal colour. The entire race village only had one stall selling Garmin watches. 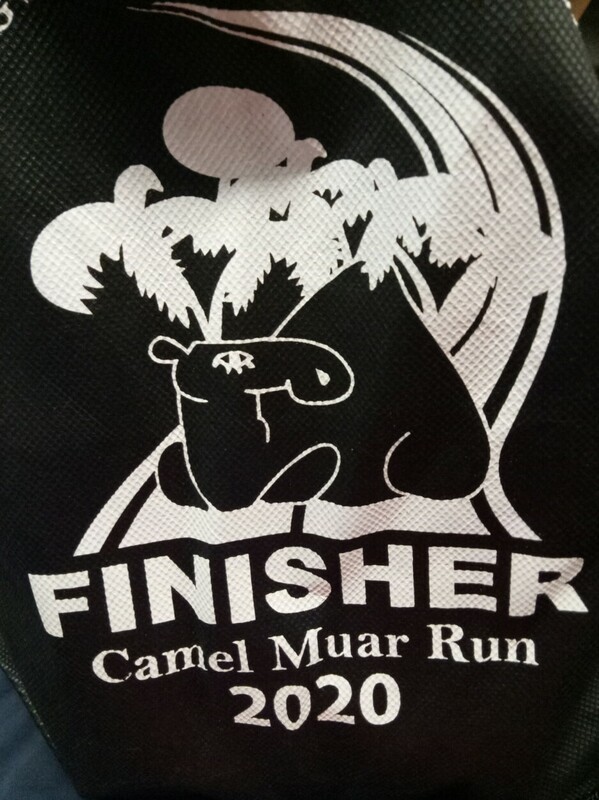 We were given a drawstring bag together with the finisher tee and the drawstring bag printed Camel Muar Run 2020. Why? Wow…. from the start of your article to the end, I have not read one single good thing about this run….